Tight closing of the door. Due to the complete abutment of the door leaf to the door frame. It prevents the penetration of unpleasant odors. For example, from the kitchen while cooking. In the event that a minor spillage of water happens in the bathroom, the threshold, to some extent, will become an obstacle to the penetration of liquid into adjacent rooms. It may be that you have no thresholds between the rooms, and you lived quite normally with this and more than one year. However, at some point it was necessary to install door sills. Is it possible now, when the entire door frame is without a threshold, to add this missing element? Can. To begin with, we will determine the material from which the threshold will be made. 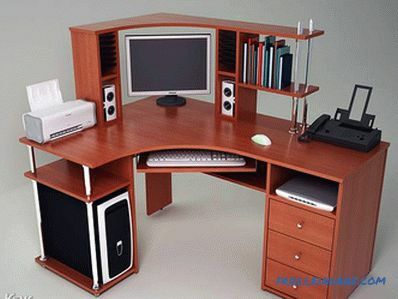 It is better if it is pine or oak . 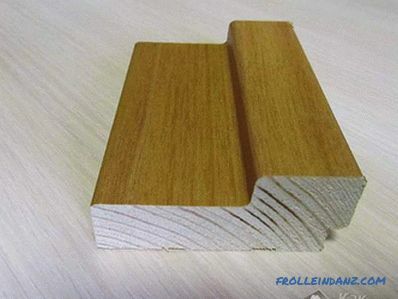 The wood of these species is moisture-resistant, but it is better to give preference to oak, so the threshold of such wood is more durable and wear-resistant. The wooden threshold is well combined with the flooring. Needs special treatment: painting, varnishing. The most practical and durable ones are aluminum. They are not so expensive when compared, for example, with brass and stainless steel sills. 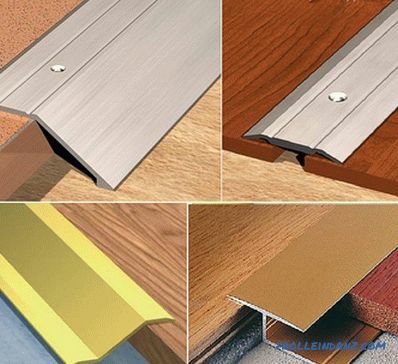 There are single-level, multilevel and angular metal thresholds. 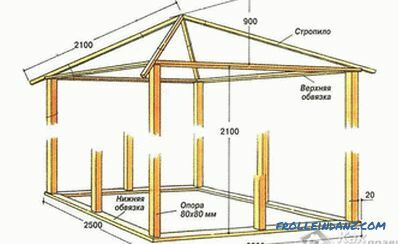 Not the best material, especially with regard to the threshold. Despite the fact that the color gamut is quite diverse, it is worth understanding that such thresholds are short-lived due to their fragility. By strength, a material quite suitable for a threshold. However, installation problems are inevitable if the door frame has already been installed before. A rather flexible and elastic material. Most often, cork thresholds are used to hide the difference in floor levels. Must be the same type as the floor covering the room. However, this material is quite capricious as regards the temperature difference. At high humidity porozhek can lead. For the threshold of this material to serve you for a long time, it must be moisture resistant. 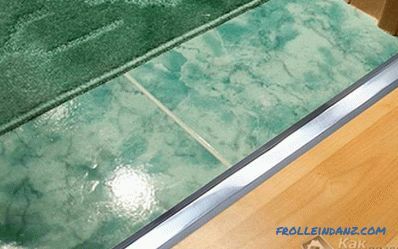 If, for example, the threshold acts as a laminated tile separator (kitchen / room; bathroom / corridor), then moisture tends to accumulate just below the threshold, which can reduce its service life if the material from which it is made is afraid humidity. The desire of the owners to install the thresholds in the toilet and in the bathroom is fully justified . The reason for this desire is often to save the premises from unwanted water penetration into them in the event of unforeseen plumbing emergencies. It is clear that the threshold will not fully become a protective dam for high water in case of a large leak, but at some initial stage it will still be able to protect it. 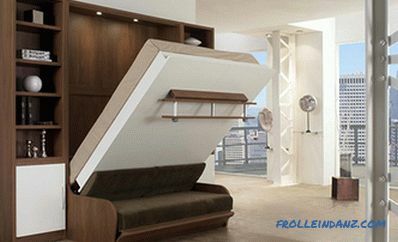 Therefore, the threshold as a protective structure for such types of rooms is fully justified. Also, a concrete threshold is appropriate when the floor differential is too large. For the manufacture of a concrete threshold, a formwork is made into which it is poured. After complete drying of the concrete, the threshold can be tiled. 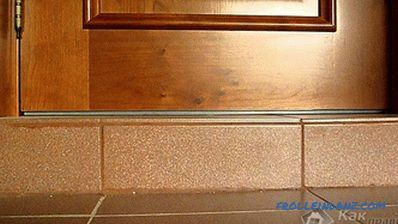 After this a small overview of the thresholds and materials talk about how to begin the installation of the threshold of the interior door. Of course, with a measurement. However, measuring the bottom of the doorway may not be enough. Typically, the joints of flooring in different rooms inevitably have cracks. It's not so scary. Worse, when they are different levels. However, even in this case, the matter is fixable with the help of multi-level thresholds. But back to the gap. After making the appropriate measurements, you can safely go to the hardware store for the threshold. But which one to choose? If the floors in different rooms are located on different levels, then a cork threshold is fine. This is especially true if an air conditioner is installed in one of these rooms and the temperature difference when moving from one room to another is obvious. Cork in this case is able to change its size, but it will never lead, not skew. Therefore, this point must be taken into account when buying a cork powder. 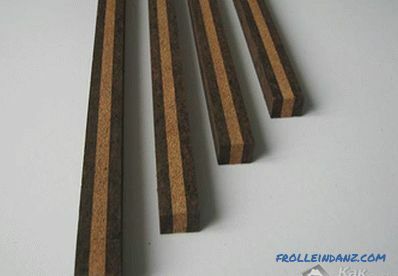 If you install a wooden threshold in a bathroom or toilet, you need to do this so that between the lower part of the door and the threshold itself remains a gap of 5-8 mm in size. It is necessary that there was an inflow of fresh air, as well as for the effective operation of the device of natural and forced ventilation (if any). When setting a threshold from a tree, it is necessary to determine its height. Then you need to make small grooves in the bottom of the vertical elements of the door frame. 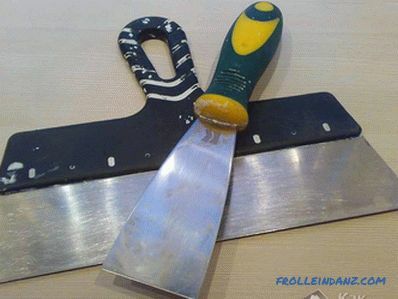 This can be done with a small hacksaw using a chisel. After measuring the width of the opening, you need to cut the wooden threshold in size. After this hammer, preferably through a small piece of wood, slightly knock, so that the part entered the grooves. When the porohek is inserted, you can proceed to fixing it to the floor. We drill a detail in 3 places and at the same time we make with a drill a neat tag on the concrete. Then we knock the threshold out of the grooves and in the places indicated by the drill we drill holes in the concrete. We drive dowels. We set the threshold in place. It remains only to secure the threshold with screws with a countersunk head. The metal threshold is set in the same way with the only difference that you It will not do without grinders or hacksaws for metal. 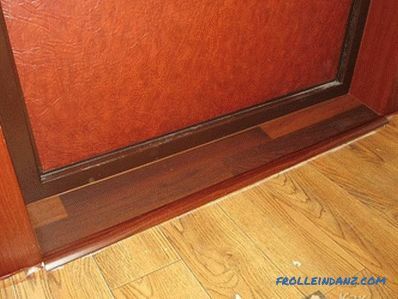 If the threshold is made of laminate, then for aesthetic reasons, it is important to use a decorative insert . The base with the corresponding groove is attached to the floor. And then the lining is put on or latched onto this groove, so the fasteners are not visible. But what if floor coverings have a difference of 3-20 mm, what can be done? As noted above, you can use multi-level thresholds, which are set as well as ordinary thresholds. As a result, such a difference will be almost imperceptible. I would like to dwell on the guillotine threshold in more detail. He has such a name because of the spring mechanism, which, when the door is closed, flips the bar to the floor level. It is equipped with a rubber lining. This device gives the impression that interior doors without a threshold, although in fact there is a threshold. A wide slot is made in the bottom of the door leaf, where a U-shaped profile with a folding mechanism is inserted, which is actuated by a button installed on the side of the door hinges. When closing, there is pressure, and the spring flips the bar. When you open the door, the button snaps off, and the spring returns the bar to its place. That's all the wisdom of engineering. When cleaning it does not create any inconvenience. Lifetime is long enough: 25 years. 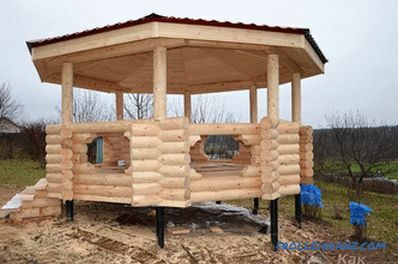 The disadvantage of this mechanical sped device is that its installation requires skills in carpentry and the availability of a specialized tool. It is no secret that many people today when installing interior doors choose the option without a threshold. This can be found an explanation, because the threshold, in their opinion, is a mass of inconvenience. One way or another, those who give preference to the design of interior doors that were fallen through, know that the functionality of the threshold is so obvious that it has a right to exist. There are many opinions on this score, and they are all different. Who is right in this case is difficult to determine. But with or without these doors, let it be beautiful, aesthetic and practical. 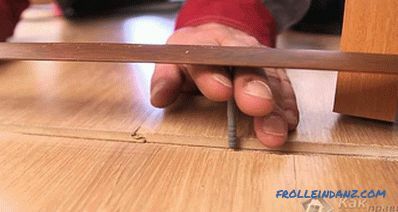 How to install laminate flooring without thresholds. 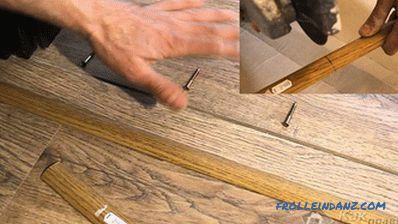 How to hide a laminate joint.